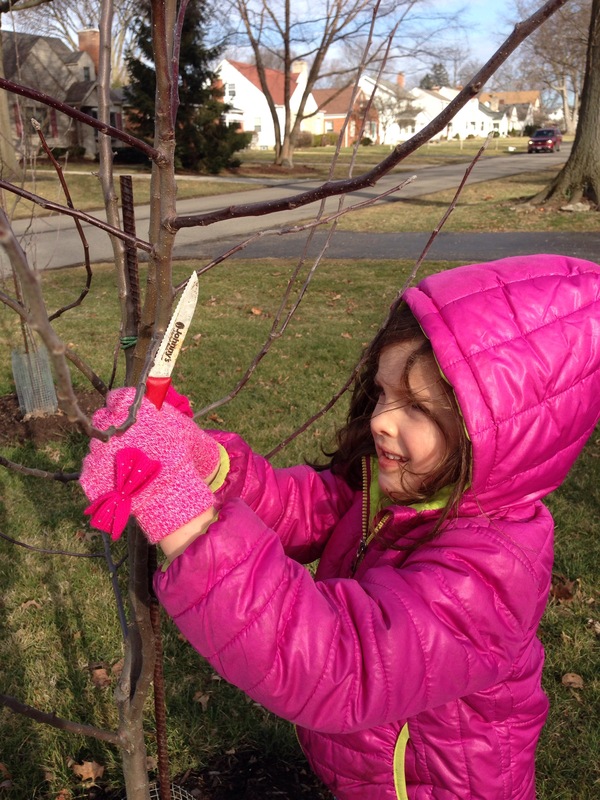 With the help of Ann Ralph and encouragement from Lindsey Norman at Bootstrap Homestead, Cora and I pruned the apple trees today. We had to make some tough decisions about branches I would have otherwise deemed the strongest and most developed. But today I learned how to make “the hardest cut,” a term Ralph uses in reference to lobbing off central branches. Ralph is a proponent of short, open centered trees which she sees as healthier, more abundant, and easier to harvest. They are easier to net for bird and squirrel protection. And, they are easier to fit into small spaces like ours. 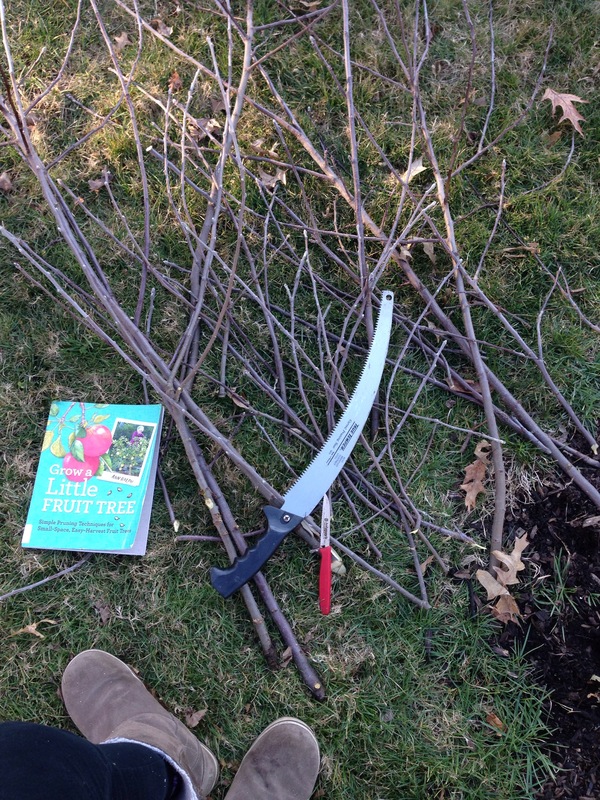 I first read Ralph’s work in Mother Earth News (see “Create Small Fruit Trees with this Pruning Method“) and found her book at the local library after Lindsey suggested it. I would recommend it to a friend. 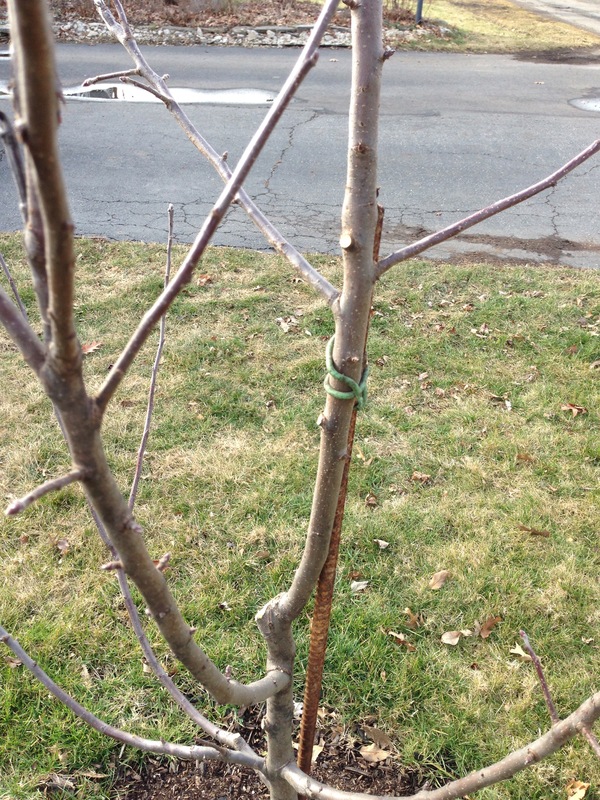 We followed some of her basic pruning advice as well as the section on making corrections in the second year to amend the shape and preliminary scaffolding growth of the trees. Cora, always eager to help especially when sharp tools are involved. Feels like we cut down just about as many branches as we kept. 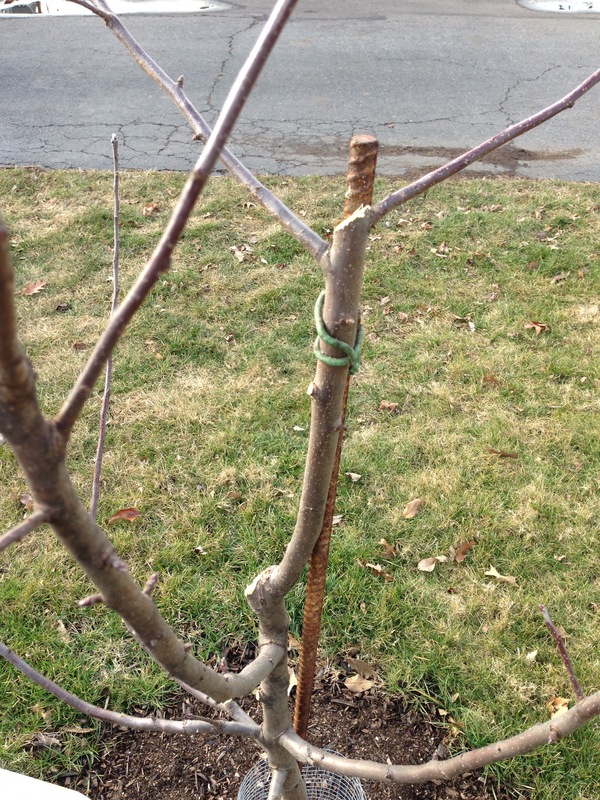 Categories: Uncategorized | Tags: Ann Ralph, Columbus Urban Farming, Fruit Tree Pruning, Small Fruit Trees, The Hardest Cut, Urban Orchard | Permalink.